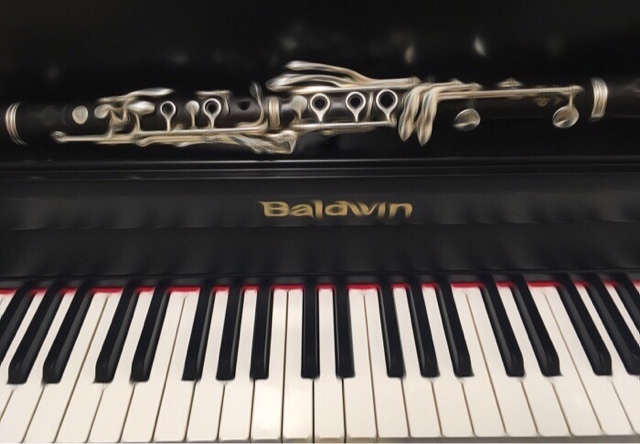 Each spring, I help approximately 60 students prepare for their solo competitions. For many of those students, this is their first time performing a solo with accompaniment. It's exciting and fun but can be daunting at first glance. To help with this, I've put together a list of eight quick tips to have a successful solo competition! 1. First, always pick a solo that challenges and stretches your abilities without overwhelming you. This is especially true if this is your first time working with an accompanist. Ask your private lesson instructor or band director for feedback or assistance when choosing a new piece. 2. Once you've selected your solo, check and make sure that it meets all of the requirements for your competition. For example, our high school students here in Texas are required to pick from our Prescribed Music List while most middle students have free reign. You'll want to purchase your solo music with accompaniment early so that you don't get surprised with backordered or out of print music! 3. Listen to as many professional recordings as you can and follow along with the score in front of you. That way, you'll know how your part and the piano part fit together and your rehearsals will go smoothly. Use the tap function on your metronome to get an idea of how fast you'll want to perform the work and begin working up to this. 4. Book your accompanist long in advance and make you get the music to them in plenty of time to learn it before the first rehearsal. This is a great time to communicate what tempos you are planning on working at. Always ask about fees up front so that you can pay them on time. 5. When first rehearsing with your accompanist, it's a great idea to record your run through. You can review this later and see if there's anything that you may have missed in rehearsal. The Tonal Energy app is a nice recorder/metronome/tuner/and tone generator and is affordable for students. 6. Practice performing often for friends and family, especially if competitions or performances make you a little nervous! A run through will also make sure that you are in good performance shape. 8. Finally, enjoy your performance! You've put a lot of work into this and it is your time to shine and enjoy the fruits of your labor.